With tropical volcanoes, lush mangroves, overgrown rainforests, and pristine beaches it is easy to understand why backpackers flocked to the tropics in search of adventure (and relaxation!). Even with the increasing popularity of Central America, Southeast Asia, and Oceania, you can still find off-the-beaten-path destinations scattered around the tourist areas—if you know where to look. We’ve put together a list of the best spots for adventure and urban exploration—and the gear you’ll want to be wearing while you’re out there! Parque Nacional Natural Tayrona, Colombia El Parque Nacional Natural Tayrona sits on Colombia’s northern edge where the warm waters of the Caribbean crash into Sierra Nevada de Santa Marta, the highest coastal mountain range in the world. Tourism in Colombia has seen an uptick in recent years, but because of its remote location, the national park remains one of the wildest pockets in the Western Hemisphere. With 59 species of mammals—plus an additional 40 species of bats—and 396 species of birds, it is one of the most biologically diverse coastal zones in the Americas. The park is full of white sandy beaches, untouched mangroves, dense rainforest, and remarkable wildlife. Electricity is limited and wifi is non-existent. The expansive park is best explored over two or three days, and campsites line the lower part of the park. If you do not want to hike in with your tent, you can rent hammocks and tents on-site. Ningaloo Reef, Western Australia If swimming with dolphins is too tame for you, head to Western Australia to swim with the world’s largest shark. During whale shark season—from March to September—several tour companies take snorkelers and divers to the Ningaloo Reef to swim alongside the incredibly sized dark blue-grey shark. Most divers are able to swim alongside the massive animal for about 10 minutes. The reef also attracts a treasure trove of other marine life like humpback whales, dolphins, manta rays, octopi, and schools of fish. 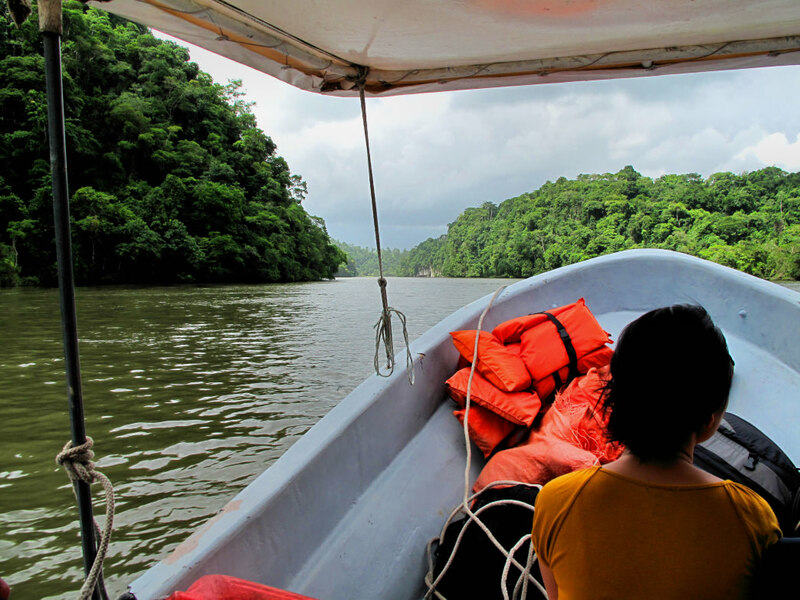 Take a relaxing boat ride on the Rio Dulce. Rio Dulce cuts through lush flora as it flows from Lake Izabal to the Caribbean, part of a lake and river system popular for sailboat cruising. At the entrance of the river sits Castillo de San Felipe de Lara, a small Spanish fort built to stop pirates from entering the Caribbean at a time when the area was an important shipping point for all of Central America. Take a relaxing boat ride on the Rio Dulce and wind through thick jungle canopies, soaring canyons, steep cliffs, and old Spanish forts. Spend a day swimming river canyons, kayaking to nearby waterfalls, hiking the Mayan ruins of Quiriguá, searching for manatees, or jumping into freshwater lagoons. For those with a more adventurous spirit, rent sea kayaks and spend a few days on the Rio Dulce gliding through the pristine nature of the jungle river to explore uncharted river caves and soak in thermal waterfalls. Beach Bar at Ao Prao Resort, Koh Samet, Thailand After a long day of adventuring, enjoy a relaxing sunset at The Ao Prao Resort Beach Bar in Koh Samet, Thailand. Koh Samet Island in the Gulf of Thailand is where the locals go to get away from the tourists during their vacations. For the best sunset on the island, grab a table on the wooden deck at the Beach Bar at the Ao Prao Resort. Nestled on a gently curving bay, the beach bar overlooks sand shores and turquoise water. Warm breezes, fruity cocktails and a live band complete the sunset experience. Las Brisas, Playa Potrero, Costa Rica On Wednesday nights, this small open-air bar in Costa Rica’s Guanacaste province is the place to be. That’s because Wednesday is Ladies Night and Las Brisas draws women and men who want to dance from a 15-mile radius. Ticos and tourists alike crowd a small dance floor while a DJ plays the latest Latin pop, salsa, merengue, and American 90s pop music. During the week, a quieter crowd stops by the oceanside bar/restaurant for a quick bite to eat or to relax on the patio with a cold drink. 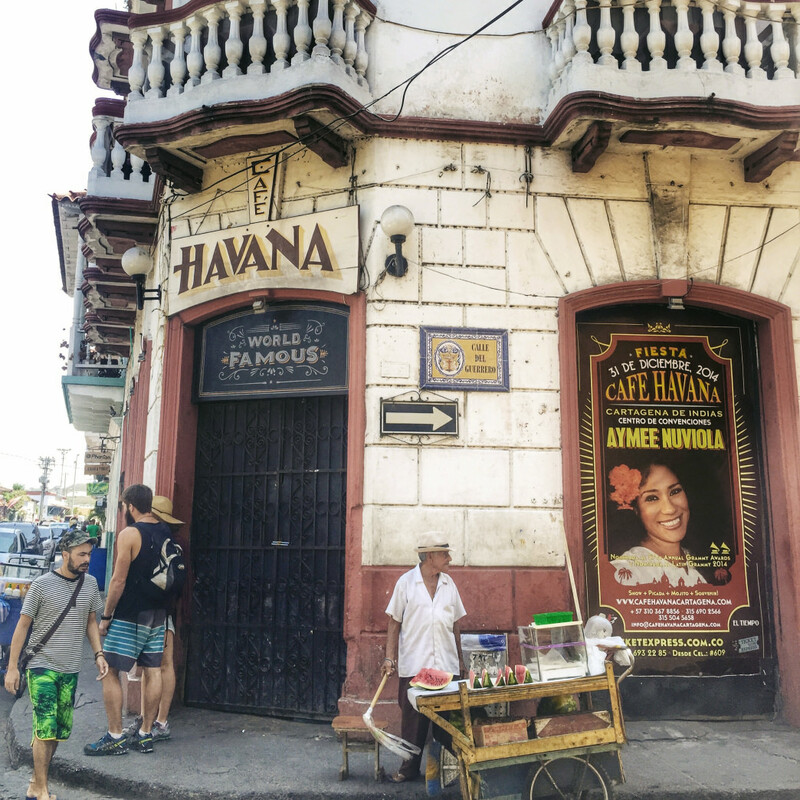 Cuba’s influence on the 16th-century port city on Colombia’s northern Caribbean coast is evident all over town, but nowhere more than Cafe Havana. The rhythmic sounds of horns and slowly rotating ceiling fans will leave you wondering if you are in Colombia or Cuba. Located on the bustling corner of Media Luna’s main drag, Cafe Havana attracts salsa lovers of all types to the grittier part of town. The top-notch musicians are always play music that covers the spectrum of salsa styles. The crowd is a mix of Colombians, Latin American tourists, and a handful of gringos. The dance floor fills up quickly, so if you want to dance or find a seat at the horseshoe bar, get there early. 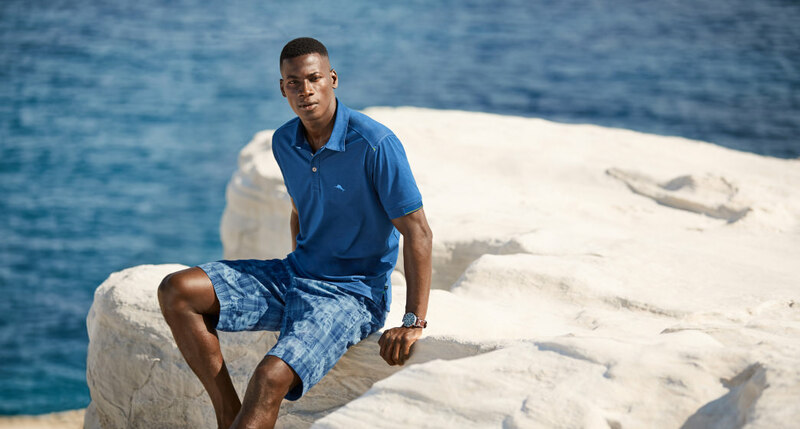 Relax in Tommy Bahama’s 37.5 Islandzone Shirts. No matter where you travel in the tropics, one thing will remain the same—it will be hot and sticky. With no real winter to speak of, the climate near the equator is warm and humid year round. Even if you are not hiking a volcano or canoeing down a subtropical river, you will likely work up a sweat just walking around town. Bring clothing made with the innovative 37.5® Technology to stay cool and comfortable. The fibers are made with volcanic sand and coconut shell particles that actively respond to body heat to capture and release moisture vapor before it turns to liquid sweat. It works with your skin to maintain the microclimate between your body and clothing at an ideal body temperature of 37.5 degrees Celsius and an ideal humidity of 37.5 percent. For women, pair Mission’s VaporActive Radiate Cropped Yoga Legging with their VaporActive Alpha Short Sleeve V-Neck T-Shirt to keep cool on long hikes through dense rainforests. Salomon’s lightweight S/LAB Sense Tee goes well with Vertx Fusion Stretch Tactical Pants when you plan to be out in the sun and heat all day. Tommy Bahama’s Tropicool Pique Isandzone Kit Camp Shirt can go from the beach to the salsa club, and you’ll be prepared for any kind of weather when you pack a Vapor Stormlight Ultralight Rain Jacket from First Lite. We didn’t forget about accessories, either! 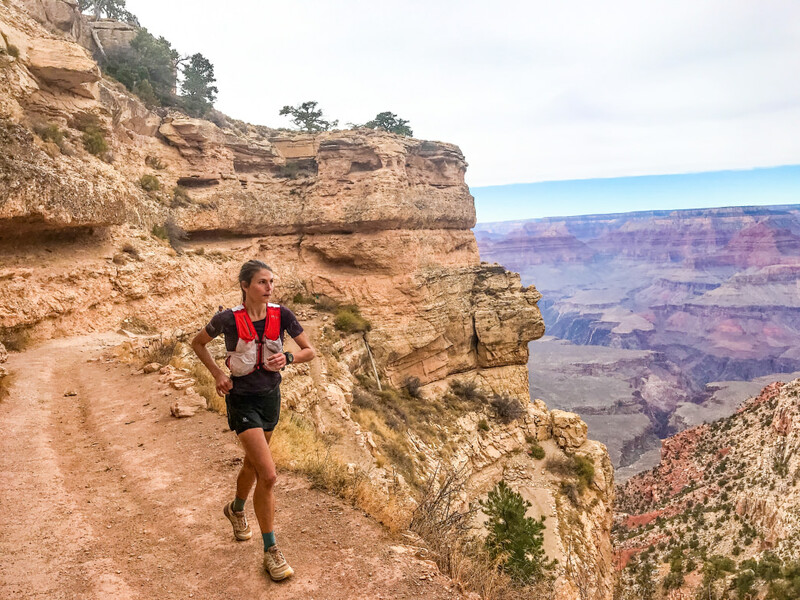 Eclipse sun sleeves are easy to pop on and off, and arguably the most important part of staying comfortable when you’re out exploring is by keeping your feet clean and dry. 37.5 Technology has partnered with Point6 to create a variety of options no matter how you like your socks to fit. No matter where you go, if you’re wearing clothing made with 37.5 Technology, you can focus more on your vacation and less on feeling sticky and sweaty!